Improve the accuracy of your reports by entering variable monthly expenses on top of your stable overheads. Some of your company running costs are probably irregular, such as buying furniture, computers or trainings. Because their value varies from month to month, they’re not suitable to be entered into your overhead costs. Moreover, they don’t apply to any particular person or project. All of these expenses go into your accounting. The only thing you need to do is to extract their value by the end of the month and enter it into an Operations project. The Operations project is a separate internal project you can start in Costlocker. There will be no people in this project, as it will only be used for entering the total variable running costs into the Project expenses. As a result, these expenses will be reflected in the Company performance graph’s total expenses. In the end, you’ll have a much better idea about how you’re doing month to month. We recommend creating the project as a RECURRING one, so that it gets duplicated every month. Set the 1st day of the month as the starting date – that will set the duplication date to the 1st day of each month. Enter your own company as the client. 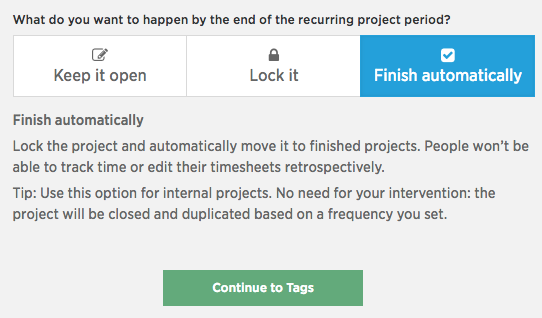 In the last section of the first step, select the Finish automatically option, so that the previous month will automatically get closed and moved to finished projects. As a result, you’ll only see the current month. We recommend to tag the project as Internal and Non-bilable. As you’ll only want to record external expenses on this project, you can skip this step by clicking the Skip button in the upper part of the screen. When creating this project, it’s probably not the end of the current month yet, so you’ll want to skip this step as well by clicking the Skip button. When the end of the month comes, you’ll come back to this step to enter the total variable company running costs, as described further below. In the last step (Summary), just hit the Save button to save the project. This will create a recurring internal Operations project, whose Overview tab (i.e. the project page) will show zeros. Note that Costlocker automatically indicates in the project title which month and year it’s running in. When the month is over, you’ll want to enter the total variable expenses for that month. 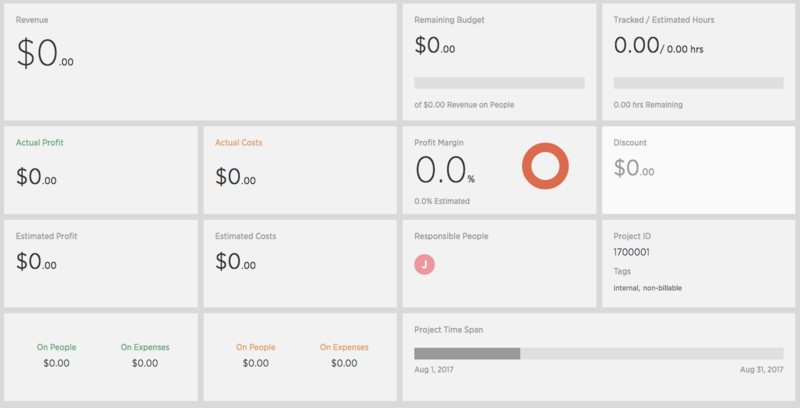 Click the Edit project button and access the Project expenses tab. Enter the total variable running costs into the Purchased field, and $0 into the Invoicedfield. Don’t forget to add the last day of the month into the Date of purchase field, too. 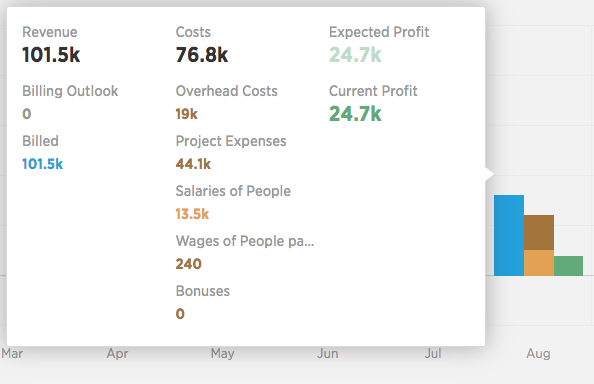 This will make the expenses automatically show up within the total company costs for the month in the Company performance graph. The project page will also show these expenses among the rest of your external project costs.